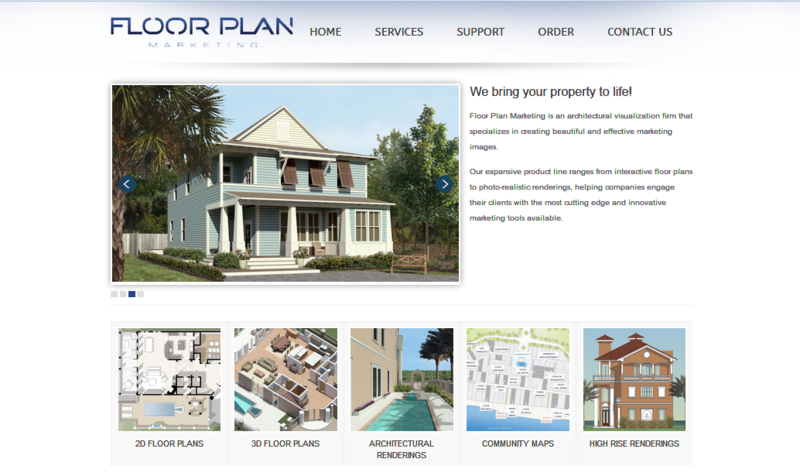 We’ve been working over the past months on an exciting project with the folks at Floor Plan Marketing. This website, which launched at the first of September, features a custom and clean look, allowing users to navigate the site with ease. InterCoastal Net Designs has enjoyed this project and developing a strong relationship with this client. Floor Plan Marketing is a unique firm that specializes in creating both beautiful and effective marketing images for the architecture industry. Their products are cutting edge. The ICND team is excited to pair with another partner in the technology industry for a project such as Floor Plan Marketing. We encourage you to check out the new site. A few features include: rotating homepage images, easy to view product line, homepage quick link icons and a detailed FAQ page.